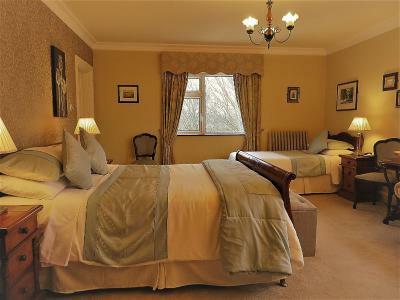 Lock in a great price for Brook Manor Lodge – rated 9.6 by recent guests! 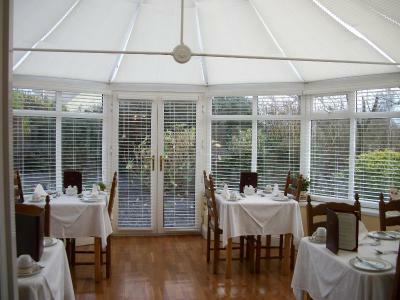 The hostess was very friendly and helpful, called us by name, and went the extra mile to ensure that all our needs and expectations were met. 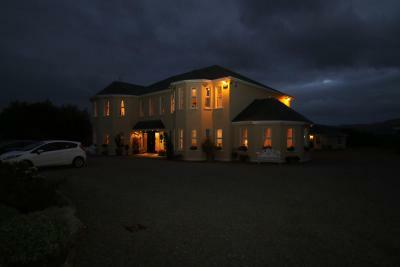 Beyond a doubt one of the best B&B's we've encountered. The family suite was perfect. Sandra was a fantastic host- made a point to ensure that we were happy with everything and felt very welcomed. She also gave great advice on sights to see when our original plans fell apart. Breakfast was excellent. Sandra, the owner, gave us a warm welcome and made us feel at home. 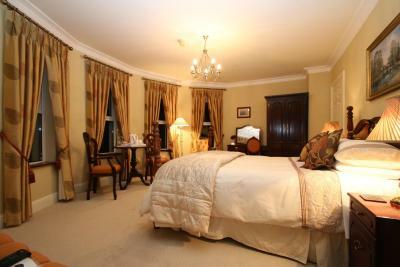 Very comfortable rooms, loved the living room for guests to enjoy. Breakfast was excellent (and plentiful) served in a very pretty setting. 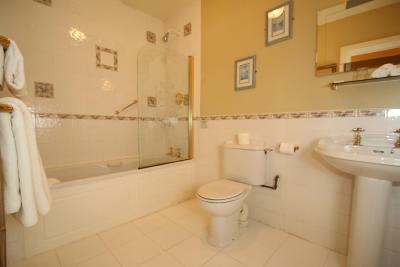 Quiet location but just a 5 minute drive from restaurants and pubs. It was BEAUTIFUL! The breakfast was amazing, rightdown to the beautiful China and linens. 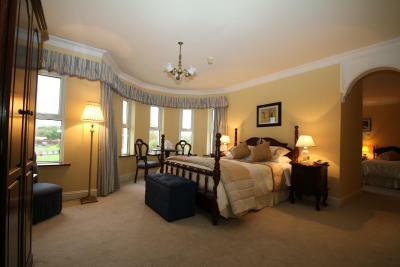 The rooms were beautifully decorated. I can't say enough about how delightful this B&B was. From the moment we pulled in the drive and met Sandra, all went well. The view was stupendous, the room lovely, clean and light. Bath was wonderful with all the extras. Bed was comfy. Breakfast was amazing with a beautiful breakfast bar and plenty of selections from the menu. 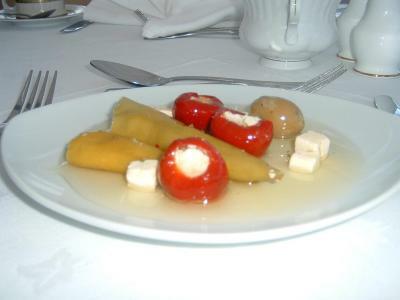 Great tea!! :) We would return here in a NY minute. Staff & breakfast was exceptional. Just a LOVELY place! perfect place to stay. Susan was very welcoming and sweet. The home is beautiful , clean , and cheery. The breakfast was amazing. We had early plans one morning and Susan gathered up some fruit and goodies to take with us since we would miss breakfast. we had a family room and added another bed for an extra 30 euros. they made the room work nicely without feeling cramped. perfect in every way. Lovely owner!!! Very personable and friendly!! Great room and wonderful breakfast. It was a great place to stay. 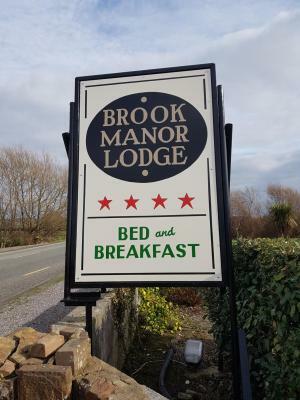 Brook Manor Lodge This rating is a reflection of how the property compares to the industry standard when it comes to price, facilities and services available. It's based on a self-evaluation by the property. Use this rating to help choose your stay! 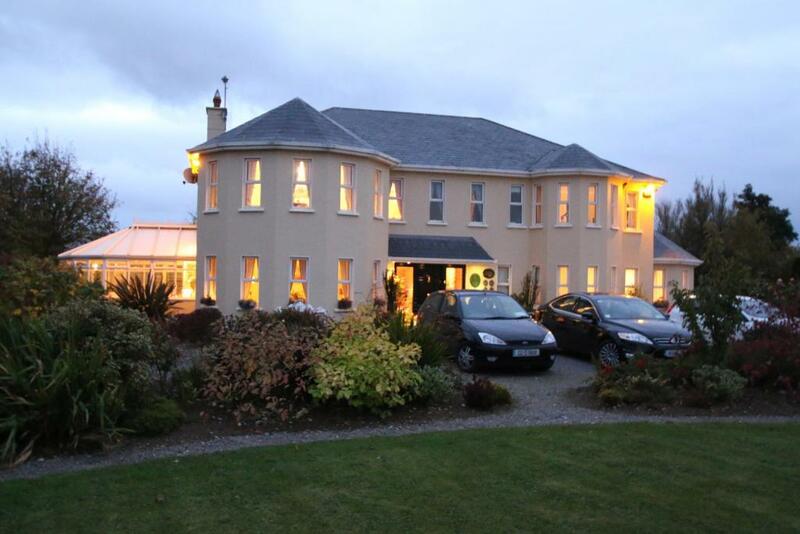 Set against a backdrop of the Slieve Mish Mountains, this luxury 4-star bed and breakfast is only a 5-minute drive from the center of Tralee. 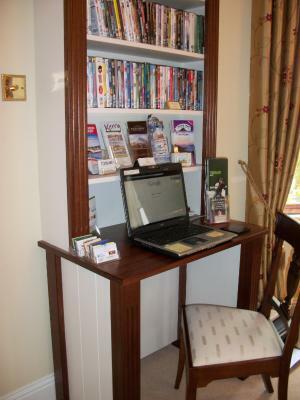 It offers a DVD library, a guest laptop, and free Wi-Fi. 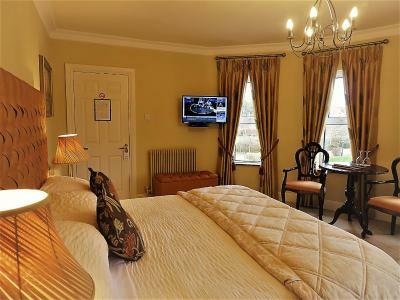 Multi-channel TVs and DVD players feature in every room at Brook Manor Lodge. 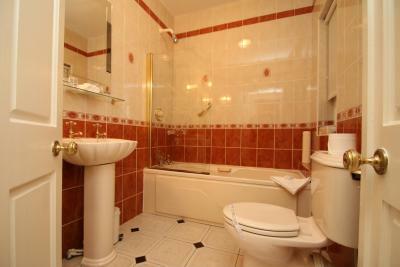 Each has a large bathroom with a hairdryer. Free tea, coffee and mineral water are also provided. 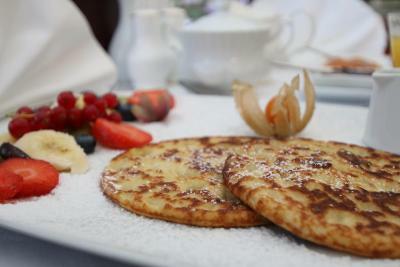 Guests can choose from a varied breakfast menu, which can be enjoyed either in the lodge’s conservatory or in the dining room. 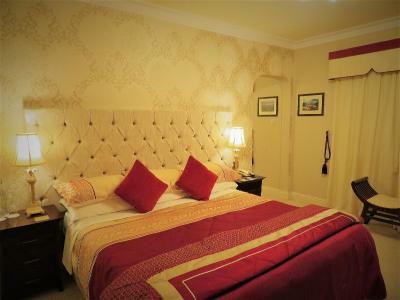 Free parking is available, and Brook Manor Lodge is an ideal base for exploring the Ring of Kerry or the Dingle Peninsula. 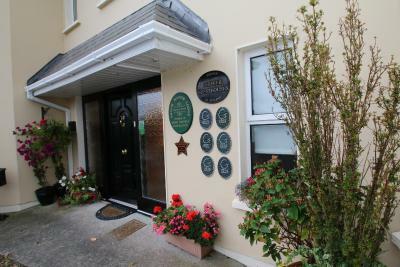 Killarney is 30 minutes’ drive away and Dingle is 45 minutes’ drive away. Tralee Golf Club is only a 10-minute drive from the lodge. 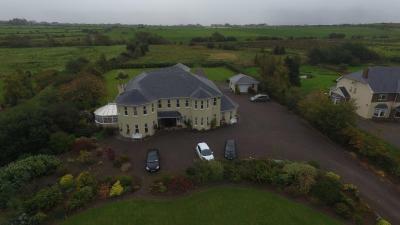 This property is also rated for the best value in Tralee! Guests are getting more for their money when compared to other properties in this city. 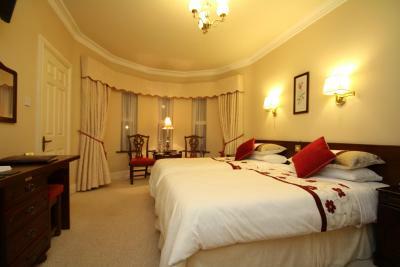 When would you like to stay at Brook Manor Lodge? 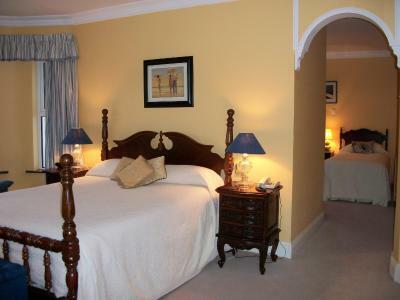 This suite has 2 bedrooms and 2 bathrooms.There is 1 king-size bed and 2 single beds, with an open archway linking the 2 bedrooms. 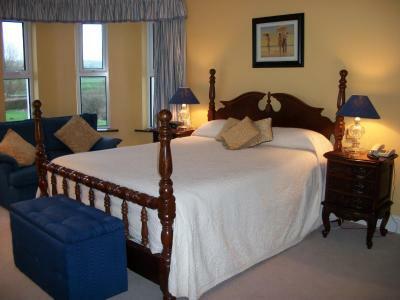 Extras include complimentary toiletries, WiFi, hairdryer, fridge, ironing facilities, TV, DVD and tea/coffee making facilities. 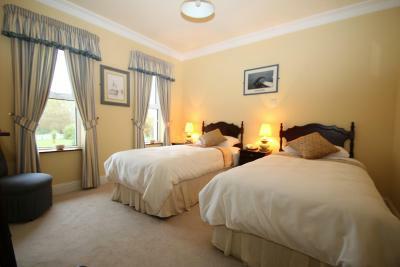 Family Suite sleeps a maximum of 2 Adults and 2 Children. 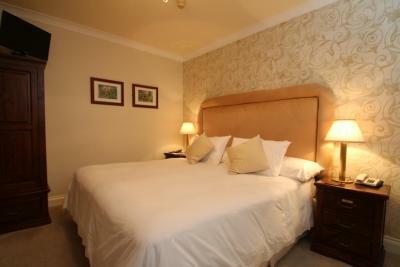 This room has an extra large double bed, private bathrooms with complimentary toiletries and hairdryer. 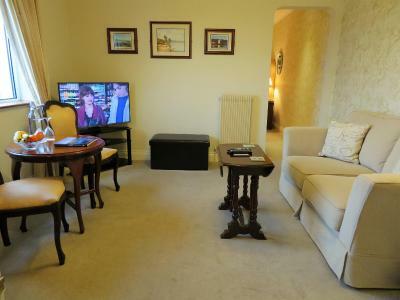 Extras also include TV, DVD, fridge, ironing facilities, WiFi and tea/coffee making facilities. 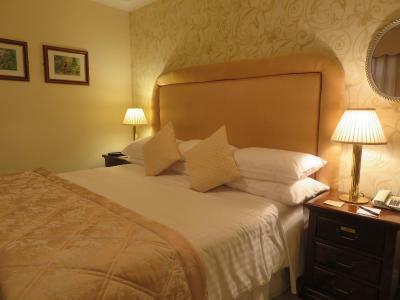 This room features 2 single beds, private bathrooms, free toiletries, hairdryer, TV, DVD, fridge and tea/coffee making facilities. 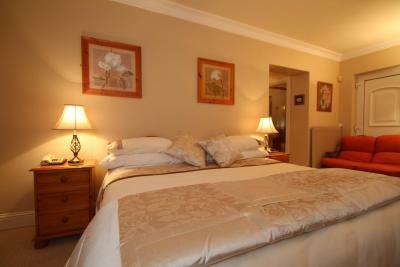 This room with mountain views has a king-size and a single bed, a large bathroom with bath and overhead power shower. 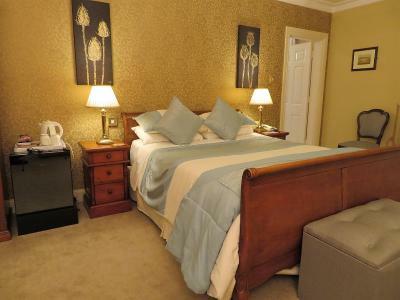 Extras include complimentary toiletries, hairdryer, fridge, ironing facilities, TV, DVD, WiFi and tea/coffee making facilities. 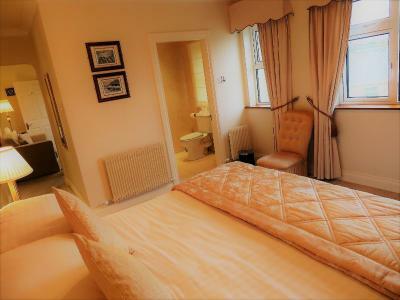 This mountain view suite has a separate sitting room, a extra large double bed and an en suite with complimentary toiletries. 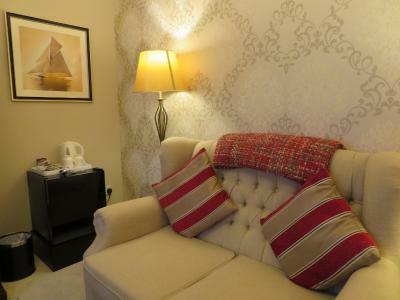 Extras include hairdryer, TV, DVD, free WiFi, fridge, ironing facilities and tea/coffee making facilities. 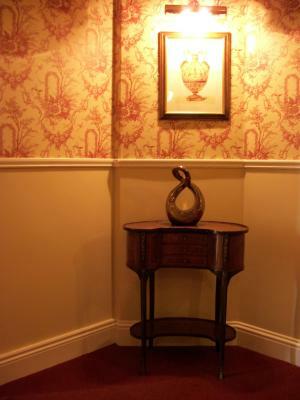 House Rules Brook Manor Lodge takes special requests – add in the next step! Brook Manor Lodge accepts these cards and reserves the right to temporarily hold an amount prior to arrival. 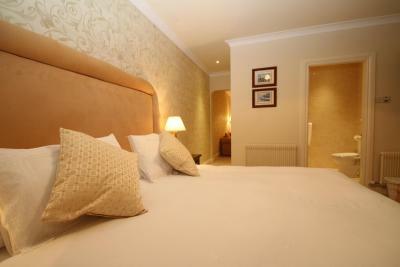 When booking, please provide Brook Manor Lodge with your estimated time of arrival. I needed breakfast at 8 sharp as I had a cycle (When breakfast opens) it wasn’t ready until 825 approx. 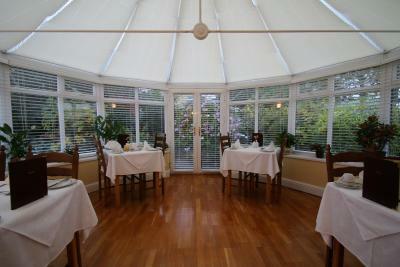 Was clean spacious, great location, friendly staff and breakfast was tasty! The location was good, but we had a hard time finding it the first time. The host Sandra was delightful, the breakfast staff were fantastic too. 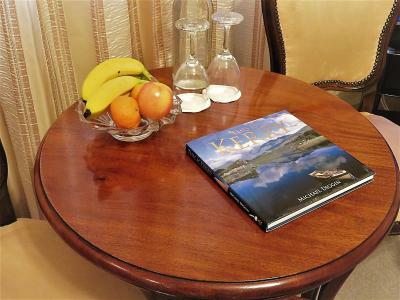 The place far exceeded our expectations, Sandra has added so many beautiful extra touches that made our stay wonderful, we extended for an extra night and would have loved to stay longer. Really well done. Wonderful host Sandra and friendly staff. 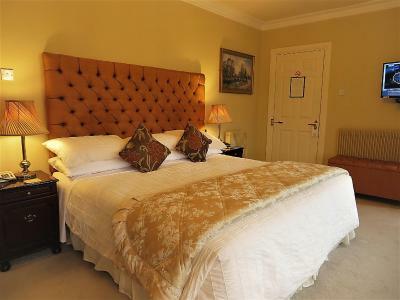 It was our second stay at Brook Manor Lodge and once again everything was spot on. Highly recommended. Very little not to like just struggled a little with WiFi and internet access. Fantastic friendly service. The room was pretty spacious with a comfortable bed. Breakfast was very extensive with an excellent selection. Coffee/Tea facility in reception was a real bonus. 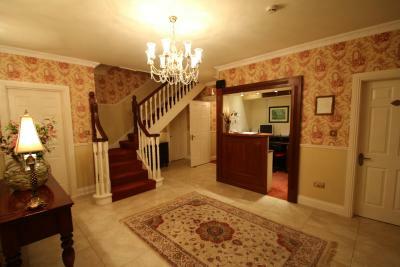 This was a lovely B&B. Sandra, our host was charming. She was warm & welcoming and gave us lots of great suggestions. 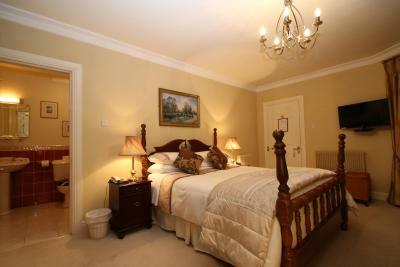 The room is quiet, the carpet is soft, the breakfast is the best I've ever had at a B&B. The WiFi is good, there's coffee and sweets available all day in the foyer. Sanda is extremely helpful and friendly. I could go on an on. 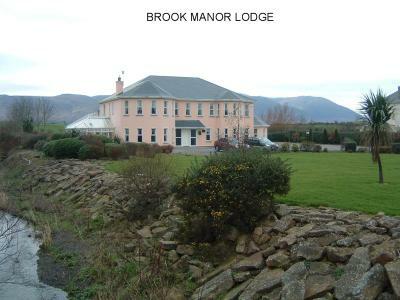 Brook Manor Lodge was a total pleasure. Kudos Sandra - you have a beautiful setup. 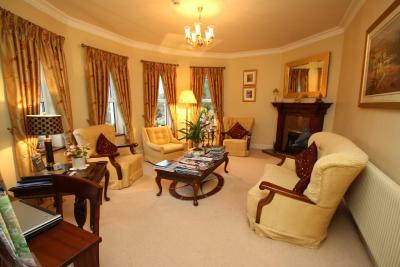 The cleanliness- the friendly staff - the sitting room in our suite. We had a most enjoyable stay with Sandra & her team. The owner was really very welcoming and friendly and made us feel very appreciated. She gave us lots of recommendations.